Seeking a new adventure off the beaten path? 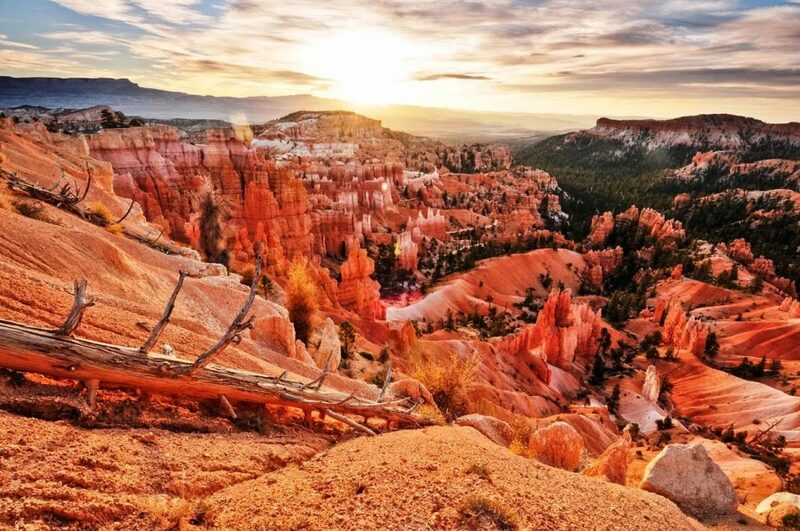 A hiking trip to Bryce Canyon National Park is a must-do for all adventurous travelers! The hiking trails in Bryce offer some of the most unique views in the American Southwest. 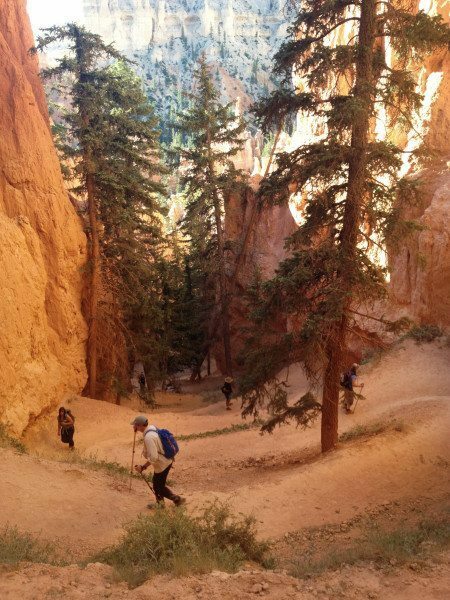 A hike through Bryce amphitheater will leave you awestruck. The three best hiking trails in Bryce can all be accessed from Sunrise or Sunset Point and explore the main Bryce Canyon Amphitheater. An ambitious hiker armed with a good map, sturdy shoes, and lots of snacks can connect all of the following routes for a truly epic day! 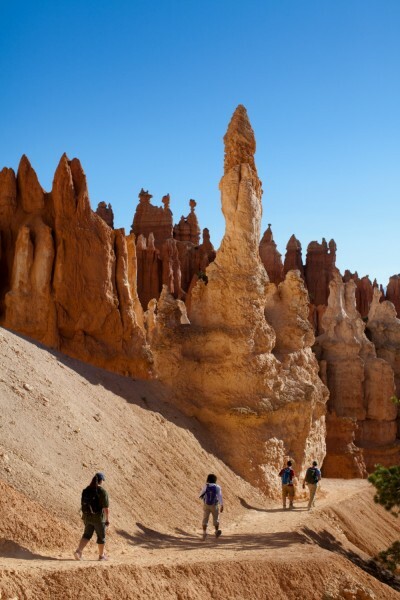 Where to Hike at Bryce Canyon? Explore the less-trafficked part of the Amphitheater on this magical trail. This is one of the hikes that begin at Sunrise Point, travel north from this lofty lookout and turn onto Fairyland Trail. Descend past hundreds of hoodoos before reaching Tower Bridge itself, one of the largest preserved limestone monoliths in the park. For hikers who’d like more mileage and don’t mind diverting from the Amphitheater’s other views, the Fairyland Trail continues on from Tower Bridge as a full 8 mile loop. 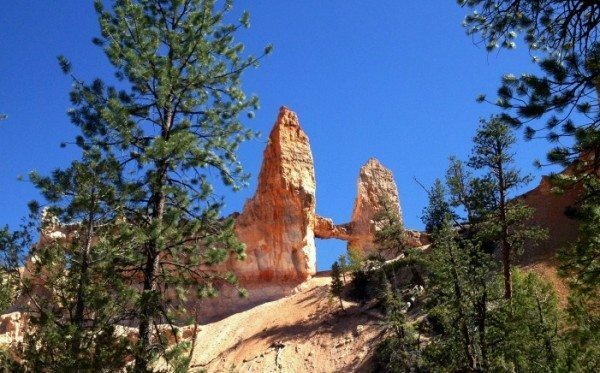 This park-favorite has so much to offer adventurers that many call it the best hiking trail in Bryce. Plan accordingly and catch the sunset at the Fairyland lookout to watch the hoodoos come to life with radiant dancing colors. Elevation Gain/Loss: +/- 475 ft. This short but spectacular loop claims all of the most renowned landmarks at Bryce. Descend the often-photographed “Wall Street” where colorful hoodoos cluster like skyscrapers on either side of the winding trail. You’ll pass ancient Bristlecone pines, fairy-like arches, and stone bridges before ascending back to Sunset Point. For more mileage, continue on to see the delicate rock structures of Queen’s Garden after descending through Wall Street. Elevation Gain/Loss: +/- 450 ft. Considered by many as the ultimate hike in the main Amphitheater, this trail winds up and down through every major viewpoint in the canyon. You can descend through Wall Street before traveling east to join onto the loop, where you’ll pass through windows in solid rock, spot innumerable hoodoos, and summit promontories that each boast a different view of the surrounding cliffs. Elevation Gain/Loss: +/- 2000 ft.
With so much to explore and experience in Bryce Canyon, planning a trip can be overwhelming. Why not let us do the work for you!? AOA offers a weekend hiking trip to Bryce Canyon, a hiking trip to Bryce Canyon and Grand Staircase-Escalante, a lodge-based Bryce Canyon trip, and a 5 day excursion visiting Bryce, Zion, Kodachrome Basin, and Escalante,Don’t sweat the small stuff with AOA because we have all the supplies you could need waiting for you at camp each night so your daytime exploration will be as easy and comfortable as possible. For more information about going guided to Bryce Canyon National Park see link below.